‘How-to-make Screen Door Butterflies’ 3/28, Wed., 1 p.m. 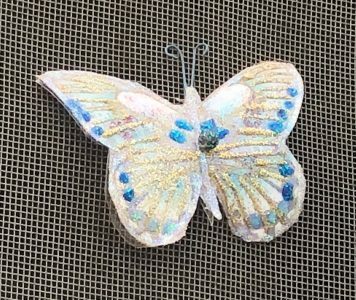 Craft Seminar — ‘How-to make Screen Door Butterflies’ — 3/28, Wed., 1 p.m. Janice Edwards (#34) will teach a workshop on making decorative screen door butterflies. Janice will provide all the materials needed for making several butterflies for $3. Sign-up sheet is in the dinning room. Limit 12. Workshop takes place in the Clubhouse. This entry was posted in Events, Life at Timber Valley and tagged Jacks and Jills. Bookmark the permalink.